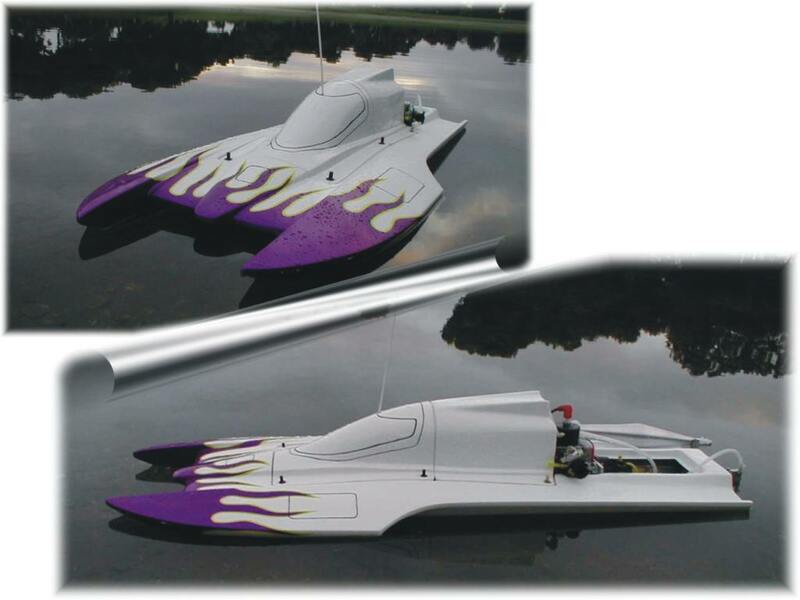 Competition Drag Hydros designed for 23cc and larger Gasoline motors. Install with an optional clutch, CNC-Machined V-Drive (with optional gearing), and our spun aluminum fuel tank. Hand-laid in epoxy/fiberglass with a white primer finish. Removeable front and rear canopies resemble full-size drag boats!